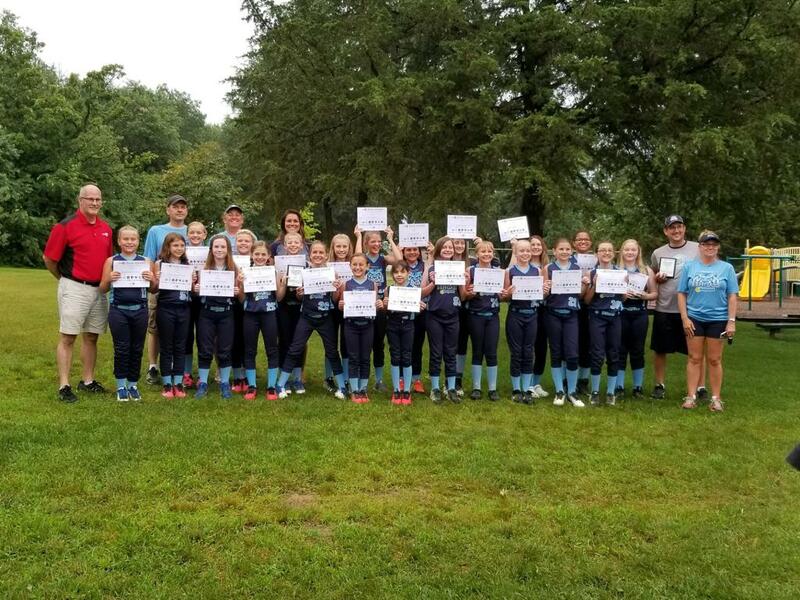 The SBAA Fastpitch program is intended to provide girls with an opportunity to play fastpitch softball at a competitive level, while still encouraging and focusing on player development, rather than on having a winning record. The SBAA Fastpitch program is focused towards players who reside in the Blaine school district. Players residing outside of Blaine school district are welcome and may also try-out for the traveling teams. 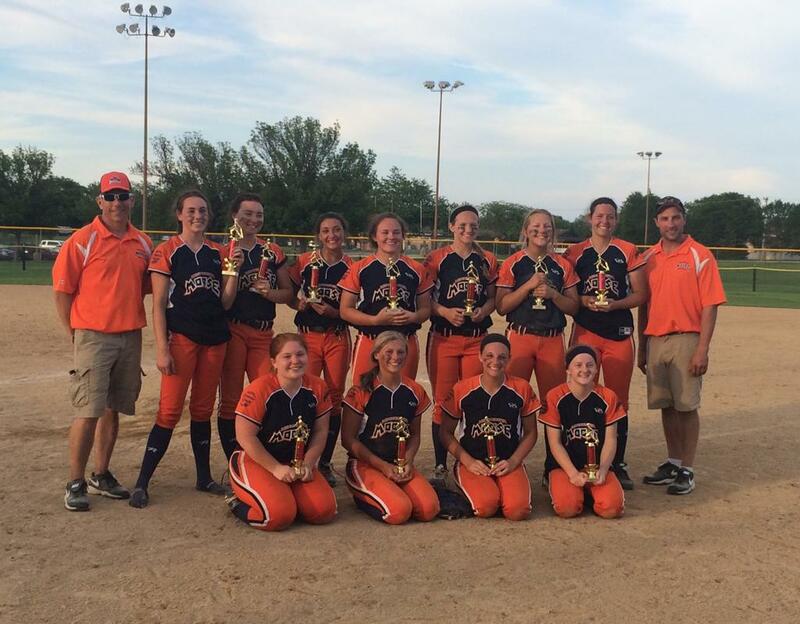 SBAA Fastpitch offers an 8U league for surrounding communities to join. Click here for more information. 10U, 12U, 14U and 16/18U traveling teams participate in the Big West League which is part of MN Softball. If you have an association in your area that you could be playing for, you may need to get a waiver to play for SBAA. Contact us or your local association for details. Congrats to 10U Beckman and 12U Greene teams on their Youth 1st Sportsmanship Awards! (Owatonna, MN) (July, 2018) – Anoka-Ramsey Fastpitch in partnership with Youth 1st, Federated Insurance, Jostens, Pearson, Cashwise, Bennerotte & Associates, Jaguar Communications, The Retrofit Companies, US Bank, Plaza Morena, Great River Energy and the Minnesota Twins Community Fund have selected the Soderville Bengals 10UB and 12U Softball teams as the recipient of a Youth 1st Team Award for their outstanding sportsmanship during the 2018 Anoka-Ramsey Dirt Devil tournament. About Youth 1st, Inc.: (www.youth1st.com) @Youth1stMN on Facebook, Instagram and Twitter. The Youth 1st Team Award was created by working with umpires and tournament directors. The umpires provide a team selection vote after each game during the tournament based on the conduct and sportsmanship exhibited by coaches, players and fans. Teams with a positive selection to game ratio of 80% or higher are recognized as Youth 1st Teams. Teams are presented with a plaque and certificates PLUS tickets for all players and coaches to attend and be recognized at a Minnesota Twins home game at Target Field. The mission of Youth 1st is to connect Conduct, Character and Community to youth activity programs. Youth 1st is a 501(c)(3) non-profit organization headquartered in Owatonna, MN. Youth 1st is an official Playball! MN Partner. It is so great knowing that not only are our girls great players but they are great sports. See the letter below we received regarding the Moose at the Bloomington Bash Tournament this past weekend! In addition, its nice to know we all cheer each other on and all the girls are great role models! The 10U Cochran team played on the same fields as the 14U Halvorson team. It was so much fun seeing the little girls cheer on the 14U team and then the 14U girls staying around the fields to cheer the little girls. Many times during the weekend the little girls would come up and talk to the girls and were so excited when the big girls would stop and talk to them about positions and what they liked about ball. The older girls encouraged them to continue playing ball and have fun with their friends! By the way, each one of these teams took 2nd place in their tournaments over the weekend. Way to go girls! I wanted to send you a quick note to let you know that I had several people comment on the great attitude of the MN Moose this past weekend. Umpires: “The MN Moose are great”… one of them commented to me that he really wanted one of your hats! I can add to that and say that I saw great sportsmanship after the final/hard fought game. The team and coaches took the loss graciously and were very complimentary of the other team during the team handshake and showed an overall great attitude. I personally appreciate the handshake and thanks after a long, tiring couple weeks of tournaments.